Mike Flewelling has been in the education field since 1978 after graduating with a B.A. in History, Geography, and Political Science from Mount Alison University and an Education degree from the University of New Brunswick. 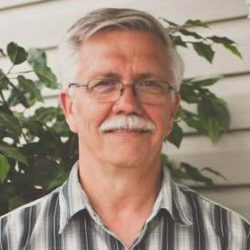 With many years experience in classroom education and curriculum development, and a growing love for Classical and Christian education he and his wife, Debra, founded Tree of Life School in 1994. Since that time Tree of Life has grown to be one of the most respected home education options available. Mike has authored or co-authored many of the programmes used by Tree of Life including Small Steps to Big Ideas, What’s the Big Idea?, A Study of the Great Ideas Through the Great Books, and The Primary Nature Notebook. Currently Mike oversees the development and delivery of Tree of Life’s educational services, carries out administrative tasks, and advises parents concerning curriculum options for their children.